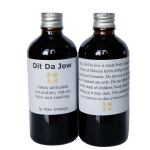 When I first came across Dit Da Jow, probably like most “Westerners” I was very sceptical. Surely I could have just gone to the local pharmacy and just picked up some ibuprofen gel, deep heat or the fallback Tiger balm to help with my aches and pains from training! 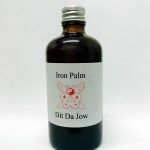 My SiFu advised me that I should see if I could acquire some Dit Da Jow to help with the impact bruises and injuries from my Wing Chun training. 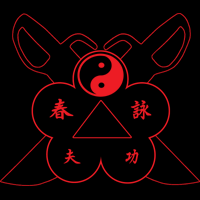 As the conversation went on he shared with me a brief overview of his knowledge and experience using the liniment as he knows that it can make a big difference in the time it takes to heal from such martial art afflictions. He then presented me with a traditional Chinese recipe that he stated was of Ip Chun / Ip Man lineage. I spoke to a Kung Fu brother who was an acupuncturist and Chinese Herbalist. He advised me that some of the herbs on the list were not safe to use or unavailable within a western society. He recommended some alternatives that had the same healing properties, this was the birth of a unique but effective formula. I had created my own Dit Da Jow. Keeping with tradition I also sought out a local Doctor and Chinese Herbalist. With her help and guidance, we formulated the unique blend of herbs that are still being today, that was over 10 years ago. There are other herbs in use in our liniment and the right amounts must be used if trying to make your own. Below is a list of the main differences in the 2 types of liniment we make here at the Halesowen Wing Chun Kuen. Make sure you are using the right “Jow” for your needs. Note* There is nothing wrong with using both to make a “superformula” or using one first, allowing to dry then applying the other.